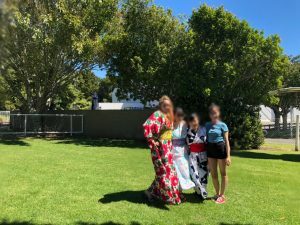 A very informative report from Kana, studying at New Plymouth Girls’ High School, reached us, which shows her comfortable life at the dorm in New Zealand. Hello, everyone!! I’m Kana Takizawa, an exchange student attending New Plymouth Girls’ High School (NPGHS) in New Plymouth, New Zealand . 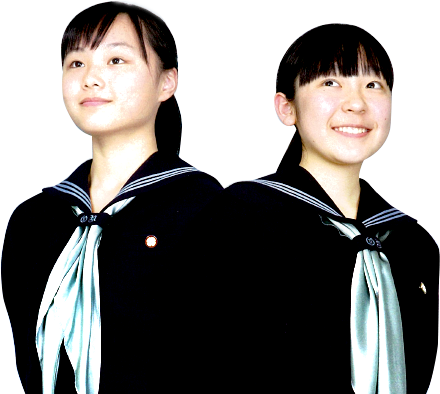 Eleven students from Otuma Nakano are studying in New Zealand. And six students are going to NPGHS. Among them, I only live in the dormitory. So, in this report, l would like to introduce my dormitory life to you all. I’m living in the dorm called Scotland hotel at the school right now. About 100 students from Year 9 to Year 13 are living in the hostel. I always get up at six’s o’clock on weekdays. When I get up, l go to the cafeteria to eat breakfast. As for breakfast, croissants, many kinds of bread, cereals, ham, milk, cocoa, salads, fruits…and so on are lined up. Also, I will prepare for things for morning tea and lunch before breakfast. There are various things out , so we can choose anything we want depending on your mood like “let’s make it a sandwich today !!”. After school, afternoon tea is available in the hostel. I enjoy afternoon tea with my friends every day because there are many things from fruit to cake and so on. And then, we have some free time until our dinner time. Therefore, I go to a supermarket to buy what I need things, talk in my room with my friends, do a trampoline, and enjoy watching a movie… I have a lot of things in the hostel. So, I can spend every day fun!! The dinner is served according to the day’s events and anniversaries. The other day, there was an international day. There are currently 12 international students in the hostel. 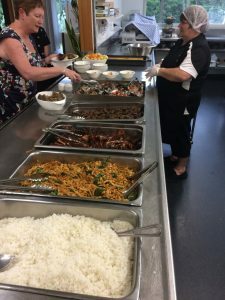 It’s an opportunity for teachers and local students to enjoy various traditional dishes prepared by the international students from various countries. Traditional dishes from China, Korea, Germany…were lined up. We Japanese made the “TAMAGOYAKI ” with 60 eggs and 20 teaspoons of sugar. “TAMAGOYAKI ”were popular among local people. It was my first time to see such kinds of various food. All of them tasted great! When I helped them with other dishes saying “How is this made? ?” We were able to take a lot of communication. I would like to make them for my family after getting back home. We have time called “Prep Time” from 18:30 to 19:45 from Monday to Thursday. Prep Time is the time when you must study. As there are many homework’s in my class, I use that time every day. We can go out of the dorm only three hours on holidays. On holidays, I go shopping for local restaurants to enjoy food…the holidays are really fun and I look forward to every weekend. Staying at the hostel is really good for us because we have enough free time, study time, communication time with local students, good food, plenty of sleeping time, so now I can study abroad in comfortable and enjoyable environment for me. And I went to an event called International Day on the other day. 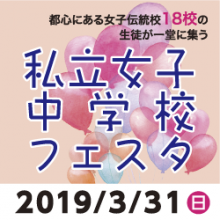 This is the event where people from different cultural background enjoy wearing traditional clothes of each country and walking through the city. We wore a yukata. As I didn’t have the opportunity to wear yukata by myself. I was able to learn about dressing yukata too. At the event, you were able to see many traditional clothes and culture exchanges with people from each country. In addition, I was able to show some attractiveness of Japanese culture, which was one of my goals for studying abroad . Some countries have completely different clothes, food and housing from those of Japan , while others are similar to Japan. It’s my pleasure to know the differences in culture from Japan. I have only 20 days left until returning home. I want to study abroad without regret and enjoy with my friends. Finally, I would like to thank you for reading my report.